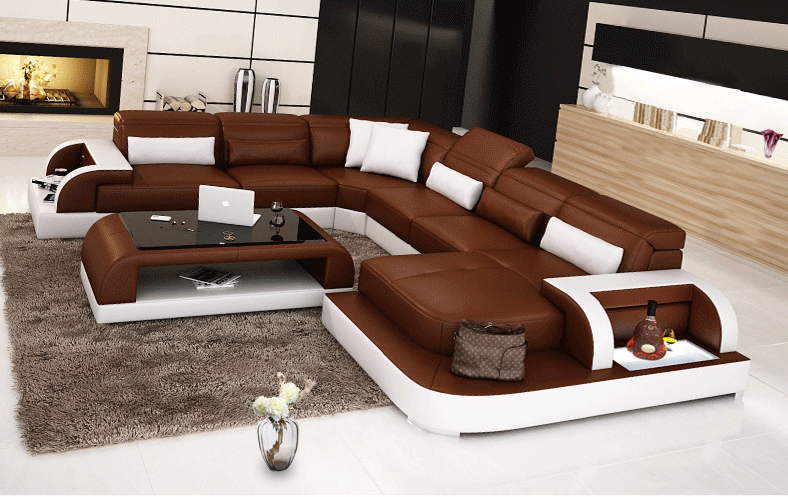 Eye-catching and fashionable sectional sofa. Armrests double as functional and stylish shelving. Headrests are adjustable and throw pillows are included for your comfort. Chaise sectional is uniquely designed to add finishing touch to this ultra modern sectional sofa. Included ottoman features a glass table top and provides even more storage to complete your living room and show off your refined taste. Available in Black & White, Brown & White, and Orange & White. Reverse Orientation is special order. If you order custom color, be sure to include color code during checkout note section.